With the post-match talk dominated by the final whistle mass brawl, it was easy to forget how well Mansfield Town did once more against Championship opposition in their latest ‘friendly’ last night. That is now three games against three Championship sides inside a week and Stags have won two and drawn one. Once again Stags possibly offered a little too much respect to the side from a higher division in the early stages before realising they were no better than themselves. Despite Barry Bannan doing all he could to inspire the visitors from midfield, it was the home side who grew stronger and stronger as the game wore on towards its apocalyptic conclusion. It didn’t help the Owls that their talented Italian frontman Fernando Forestieri let his own frustrations with the way the game was going get the better of him and some of his challenges in the second half would have seen him get yellows, if not reds, had it been a League game. Referee John Brooks was caught halfway between trying not to get his card out for a pre-season friendly while maintaining law and order. But it all went horribly wrong late on. Forestieri had just made two more bad tackles on home players, one after seemingly going down for a soft penalty appeal when it seemed he could have got a shot away. What happened then between him and home skipper Krystian Pearce will doubtless come out in the future. There have been unconfirmed allegations of a racist comment by the Italian. I have never seen Pearce so angry, despite bruising clashes with centre forwards week in week out throughout the year. 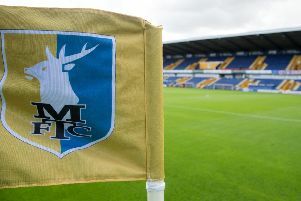 I have also never seen a Stags manager go onto the pitch to haul away a player who has completely lost his cool and point him to the tunnel before he gets sent-off, quickly sending on a substitute – that was absolutely top drawer management from a man already short on centre halves with the start of the season only 10 days away. If the racist comment rumour proves true the Italian should face a lengthy ban from the game – but everyone is innocent until proved guilty and we await the aftermath once the dust settles. With Pearce down the tunnel and the referee blowing the final whistle, what happened then was simply surreal. This was no ‘handbags’ ‘mass brawl’ of pushing and shoving. This was brutal. There is an allegation that Forestieri was hit from behind after the whistle. All we definitely know was that Stags’ Calum Butcher’s lip was bloodied by a punch and that Forestieri’s simmering temper was at the thick of things as het up players squared up and then suddenly let fly with a barrage of fists and boots. Players leapt off the bench ‘ice hockey-style’ to help out their team mates and stewards also piled in to try to pull players apart. 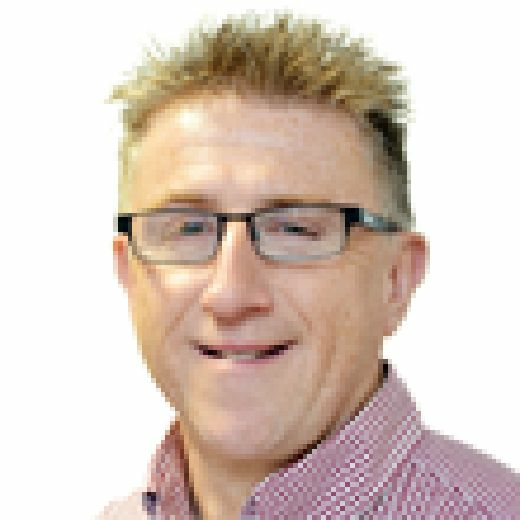 It was the worst football brawl I have ever seen live, though the pre-season match at Ilkeston seven years ago ranks higher in my disgust of what one human being did to another that night in another so-called ‘friendly’. It’s hard to know what the repercussions – if any – will be. The Police were asking questions afterwards, Wednesday wanted video of the fight, and doubtless the FA bigwigs will sit down and analyse what happened too. While in no way condoning what happened, I have played in several games myself down the years where, when the officials have not controlled things well, players have sought to take the law in their own hands – and my old Sunday morning comrades would have definitely said that Forestieri was ‘cruising for a bruising’. It also has to be said that the way the Stags players backed each other up on the pitch at the end won’t do team spirit any harm. What happened last night is unlikely to happen again this season or possibly in the rest of their careers. But the team spirit was definitely there on show over the 90 minutes and again after the whistle. It was a strange way of boss Flitcroft finding out his pre-season week in Portugal has been a huge success in more than one way. Now everyone must put the brawl behind them and focus on Rotherham on Saturday. We all know pre-season results count for nothing. But any Stags fans not feeling optimistic and tiny bit excited now should quickly check for a pulse!